Amanda Nair is a woman who needs no introduction. She has been at the helm of Blue IQ Holdings, the development arm of the Gauteng Province responsible for implementation of mega strategic economic infrastructure projects, as Chief Executive Officer. She has also been, among other positions, the Executive Director of the City of Johannesburg’s Development Planning Agency. Currently the General Manager (GM) for consulting engineering company GIBB’s Mobility Services Sector, Nair believes that there is a strong need to provide efficient, effective and safe movement systems for people, goods and services that meet global sustainability criteria. “This will be a key factor of success as a country and a continent,” she says. Nair is of the view that President Jacob Zuma’s pronouncement in his 2012 State of the Nation address and the Presidential Infrastructure Coordinating Commission will serve as a platform for GIBB to give effect to the movement agenda. “Aligned with our work at a project level, we will also seek to influence the need to transform our society and industry as we contribute to building a relevant and high capacity skills base, ensure appropriate and suitable opportunities for previously-disadvantaged communities and advance the progress of South African companies in the industry,” she says. Nair’s career path Nair’s career has taken her squarely into the international arenas, both in business and government. She has traveled extensively, as a representative on a range of international platforms. In this regard, she counts among her most illustrious achievement, the leading role she played in the preparatory process leading up to the 2002 United Nations World Summit on Sustainable Development, hosted in Johannesburg. She was also recruited by the 2010 FIFA World Cup South Africa Local Organising Committee to work as a Project Manager. Her core mandate was to ensure that South Africa’s nine host cities were in a full state of readiness to host the Championship. Nair was also responsible for making sure that the five host cities of the Confederations Cup in 2009 were ready. The success of the 2010 FIFA World Cup in South African does not require any explanation. 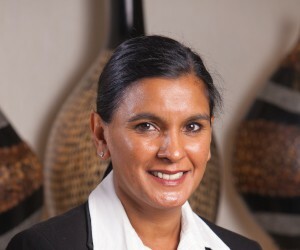 While holding the position of Executive Director: Development Planning, Transportation and Environment in the City of Johannesburg from 2001 to 2005, she counts among her key achievements the establishment of the service unit from an almost zero base and successfully driving the change management process that was inherent in an effort to amalgamate six different entities. 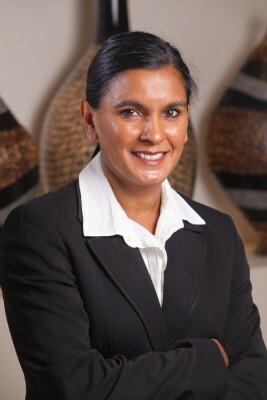 Going further back in her career, Nair has the distinction of being the youngest, first black female manager appointed in the City of Durban in 1993 – where she was a Senior Manager and key to the success of many projects such as the Point Waterfront and Wilson’s Wharf.